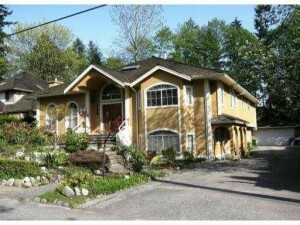 Vancouver Mortgage Helpers Homes Get the Hottest MLS® Listings absolutely FREE! Vancouver mortgage helpers MLS® listings are typically 2-3 level single-family detached houses which have a rentable 1-2 bedrooms suite in the basement or the main floor of the house. The suite has its own kitchen and a separate entrance. Most of the times, these rental suites (mortgage helpers) were built without building permits and have no rental license issued by the municipal authorities. That is why in many listings description you will notice the remark “the property contains unauthorized accommodation”. Which means that legally only family members can occupy the secondary suite. A very few of these suites were built with a building permit and registered in the city halls. They are called “legal suites”. Most people still rent the unauthorized suites, to help themselves with the mortgage payments. As long as you are aware that in the event of an official complaint from the public about your tenants, the city authorities might ask you to remove the stove and to give the tenants a notice to vacate the suite. After that, you won’t be able to rent the suite and have a rental income from it. Here’s how it works: You will receive a FREE report listing the best Vancouver Mortgage Helpers Homes on the market (including photos) in your desired price range and location. There is no cost for this information and absolutely no obligation. This insider information, sent to you in an incredibly simple and efficient format, will give you a huge advantage over other buyers in the marketplace. Feel free to contact us if you are not very familiar with the whole process of mortgage pre-qualification and purchasing Vancouver Mortgage Helpers Homes. Do you know the difference between legal, unauthorized and non-conforming suites? Do you know how this might affect your financial plans? Are you aware of the risks? Do you know the banks’ requirements for granting the financing? 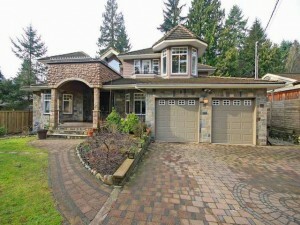 To get full access to all Metro Vancouver Mortgage Helpers Homes, please fill and submit the request form on this page. In the “Notes” box include a code “mortgage helpers”. If you are interested to have full access to all Vancouver MLS® Listings Brochures, Real Estate Guides and VIP-Insider Reports, in the “Notes” box include a code “full access”. If you have any specific requests, type them in the “Notes” box as well. The provided information is absolutely no cost and obligation free. This is not a subscription to a mailing list or a newsletter. It will grant you access to sources and MLS® information shared with other users. Enjoy this obligation free Vancouver Mortgage Helpers Homes MLS® Listings. Thank you in advance for emailing this page to friends and colleagues and sharing it on your favorite social media networks. Please use the “share” buttons below.